I’ve been using this product for several years. It smells fabulous and I really love the new(ish) misting bottle. I have been using this product for about 3 weeks to compliment the Argan and Frankinsense serum. I enjoy the smell. In combination with the serum, I do believe it is helping heal my poor dehydrated skin. Thank you Helena. KG. 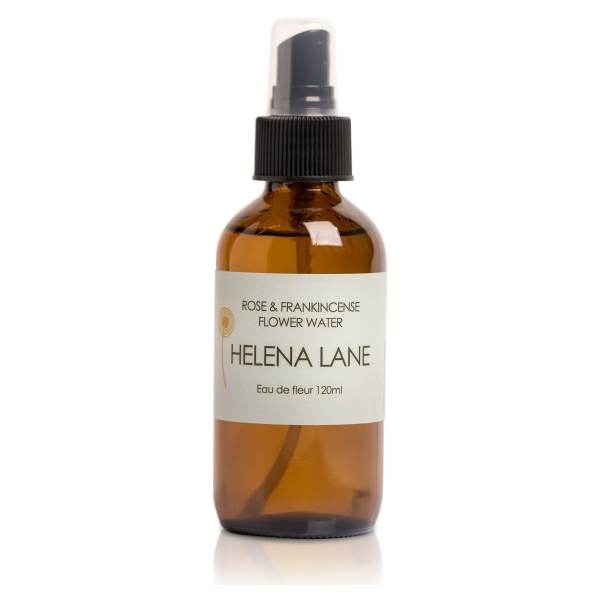 Love, love, love this product together with each of Helena’s other products! Can’t imagine using anything else! Thank you Helena! 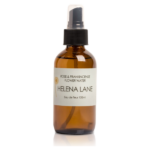 I love all Helena Lane products! Only negative I have is that rather than an even ‘mist,’ my flower water sprays an uneven stream. Other than that I love this and every other product I’ve tried! Love My Flower Water. So refreshing!!! 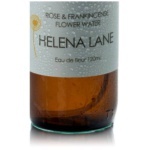 Another of my favourite Helena Lane products! The combination of rose and frankincense is beautiful. I use this flower water for a quick cleanse in the mornings when I’m feeling lazy and to add a quick hydration when my skin feels dry during the day. It gives a gorgeous dewy look on top of makeup, too! I’ve been using the combination of this flower water and the Argan & Frankincense serum for several years now and I love it! Love the aroma, love the way theses products work together and how my complexion feels and looks. Trying out my friend’s I thought it wouldn’t do much… simply evaporate and a lingering smell of Rose and Frankincense. I’ve noticed it’s very mild, but this mildness makes it perfect for my sometimes ‘confused’ skin. After cleansing my skin with the Chamomile cleanser, this mist is all my skin needs for a perfect balance in hydration. Your skin feels soooo fresh and hydrated! Amazing product! Love! Another amazing product, it’s so refreshing and my skin just soaks it up! Keep up these amazing products Helena! Uplifting, refreshing, luxurious. Let your skin drink it in. The beauty and simplicity of all of Helena Lane’s products appeal to me greatly and fit so well with how I want to live my life and care for myself. 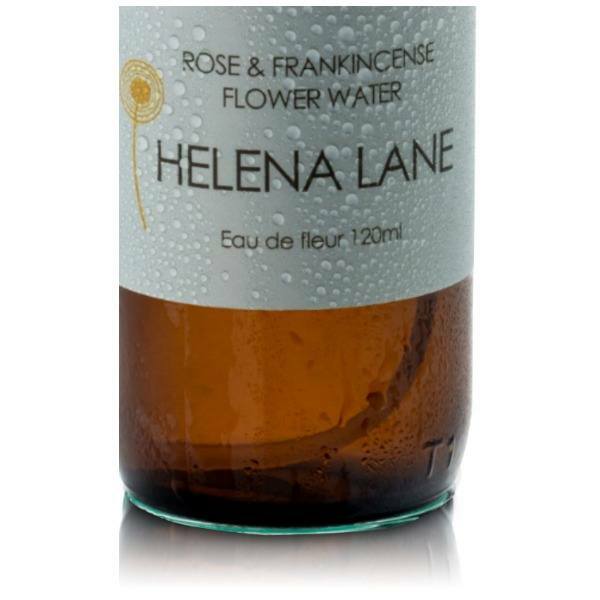 This flower water is so refreshing and has a beautiful, uplifting scent. I spray it on first thing in the morning as well as under my daytime moisturizer. It wakes me up and energizes me! I feel like I am feeding my skin so well!